Read the first chapter of my graphic novel here. Free! Issue #1 Black Day, Black Night. Read below. 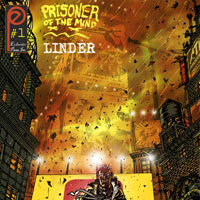 PRISONER OF THE MIND is a neo-noir thriller set in the near future of New York, the unforgiving city. On the outside the city looks a little different. Buildings are taller, the sky is a little darker, technology is more advanced and machines have replaced some human workers. Nevertheless, people are the same inside, hungry, greedy, and deceitful. A hardboiled government agent with a perfect service record tries to commit suicide after investigating another agent’s death.